Did You Know You Can Gift Snow? Yes, I enjoy wearing a t-shirt in December, I love when I don’t have to shovel piles of snow to open the door in the mornings, I can’t even think what would I do if I wouldn’t see sunshine every day. But there is one thing I and especially my kids are missing out on. It’s SNOW. Guilt driven I have helped them make FAKE SNOW. More than once. It has brought us so much joy and play, we decided to give away some of our snow as a gift this year so others can enjoy too. shaving cream – I suggest using as natural one as possible since kids will be touching it. 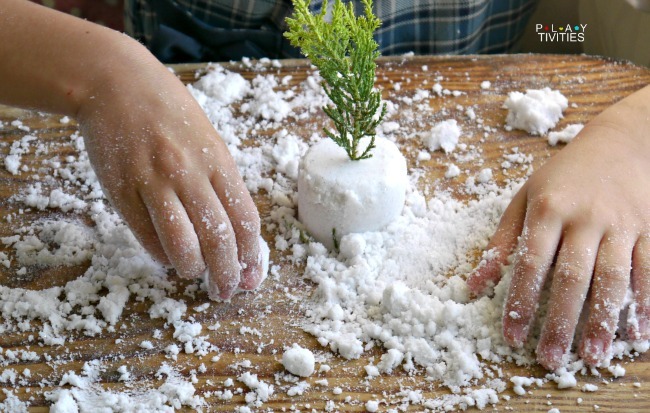 It’s really simple to make your own snow. Get a jar, fill it up with baking soda half way, sprinkle some glitter and start loading it up with shaving cream all the way to the top. As you mix this you might notice that you need more shaving cream. Test to see if your ”snow” sticks. 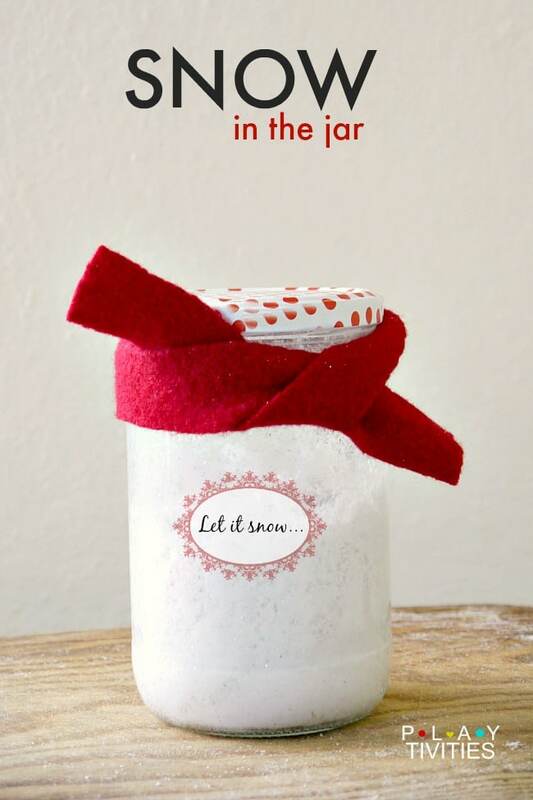 Add some embellishments if you wish and you got yourself a FAKE SNOW GIFT IN THE JAR! Imagine the joy on the child’s face when he receives snow FOR THE FIRST TIME! Keep fake snow in an air tight container in a cool place. I am not sure of an exact time frame, but we kept ours for at least 4 weeks at it was still ”snowy”.